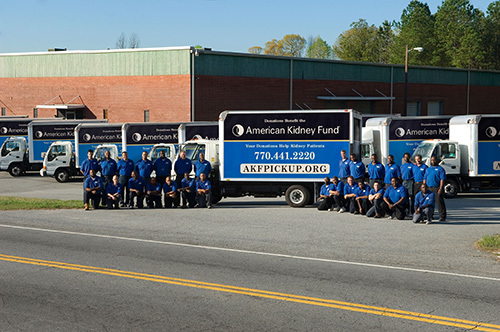 American Kidney Services (AKS) is a local, non-profit Atlanta charity that strives to help kidney disease sufferers who are in financial need. AKS, in conjunction with American Kidney Fund, will take your used clothing donations and used household goods and turn them into direct monetary support for patients struggling to pay bills and rent because the cost of their medical care and dialysis is absorbing all of their funds. By creating an accessible system of donation drop boxes and a simple, stress-free donation pick up schedule, American Kidney Services makes it easy to turn used items lying around your home or business into much-needed charitable donations. Donations can include women’s, men’s, and children’s clothing, small kitchen appliances, electrical items, silverware, glassware, dishes, decorative items, small furniture, books, linens, bedding, televisions, CD players, stereos, and any other items that you no longer use or want. 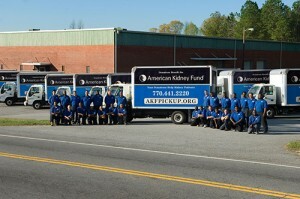 Find out where to donate or how to schedule a charity pick up in Atlanta, Dunwoody, Smyrna, or surrounding areas, and remove clutter while creating direct financial aid for many of the 31 million Americans who suffer from kidney disease. American Kidney Services works hard to make sure that your generosity doesn’t need to come at the expense of your busy schedule, which is why we make it easy for you to find Atlanta donation centers or to add your name to our donation pickup schedule. Simply call us at 770-609-2200 to request a charity pick up time on our rotational schedule. Our drivers work from 6:30 a.m. until dusk and can stop by your home or office and pick up tax deductible* donations that you leave outside. We also offer special event pickups on weekends, which are ideal for clearing out leftover items at garage sales. If you choose to bring your clothing donations and other goods to one of our donation centers, you have a variety of donation drop off options. Not only do we provide hundreds of 24/7 donation drop boxes throughout Atlanta and surrounding areas, but we also partner with numerous Value Village locations so that an available donation site is never far away. Whether you live in Atlanta, Alpharetta, Roswell, or the surrounding communities, make today the day that you give to those in need. AKS wants to work with you so that the used clothing and household goods that have been sitting in your garage or basement can be turned into direct monetary aid for the 100,000 kidney disease patients who remain on the kidney transplant waiting list. 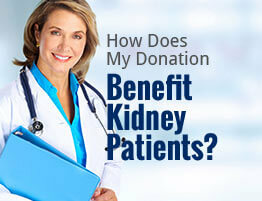 Only 14,000 kidneys a year become available! Turn clutter into the power to help— donate now.